Good news for Crumpler fans like me! Crumpler’s SM Megamall branch is moving to a bigger and better location soon! In line with that, they will be having a Moving Out Sale from October 1 – 31, 2012. Enjoy incredible savings of 50-70% off on all items, which includes their pencil cases, bag tags, straps and camera bags! For the benefit of those who don’t know what Crumpler is, it is a trusted brand of durable backpacks, camera bags, laptop bags, messenger bags, and more. 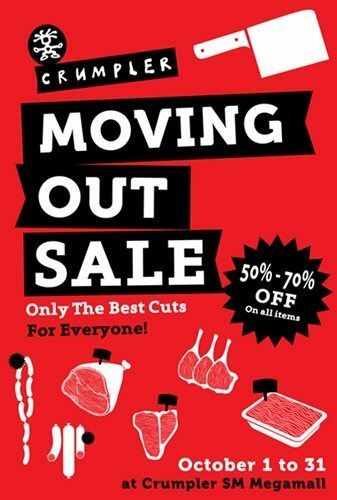 See you at the Crumpler Bags SM Megamall moving out sale!